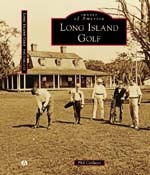 I am the creator of and main contributor to Golf On Long Island. I feature a terribly inconsistent swing that makes me wonder why I invest my time and energy into the sport at all. When going well, I hit my irons straight and occasionally string together consecutive fairways hit. When off, I swing off my back foot and push my irons. I enjoy writing, research and photography, and love Long Island and all its resources. With this site, I get to write, research (play golf), cruise around the Island on my way to the first tee and hope that all of these passions meld together to create a fun, informative and appealing Internet destination for public golfers. 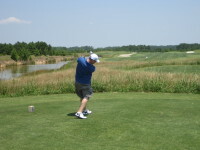 Rob is an important contributor, as his love of the game and photographic golf memory make him a great asset to the site. He has the freakish ability to recall, in detail, nearly every hole on every course he's played, as well as how he and his playing partners fared. 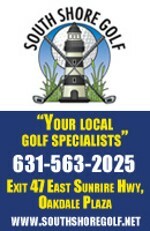 He is the second set of eyes and ears for Golf On Long Island during his weekly Tuesday rounds, and especially over the winter, when most Island golfers have already buried their clubs in the closet. Rob has been known to brave the fierce ocean breezes in the heart of winter if it means squeezing in 18 holes at Lido.